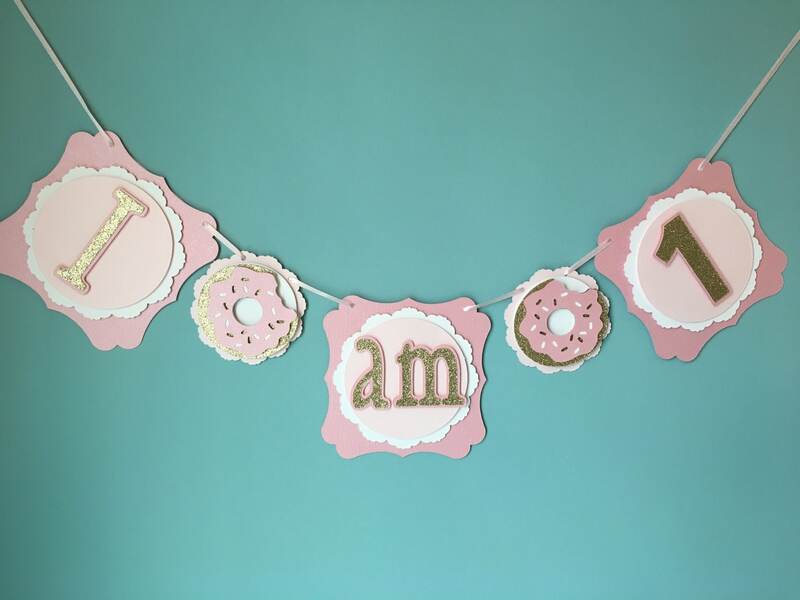 Donut I AM 1 Banner for 1st Birthday!! 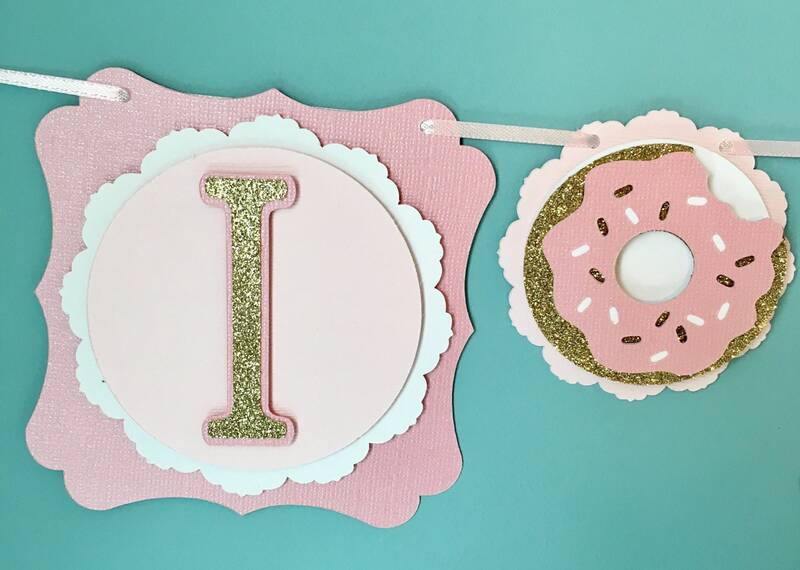 This banner is so cute for a little one who loves donuts first birthday party! 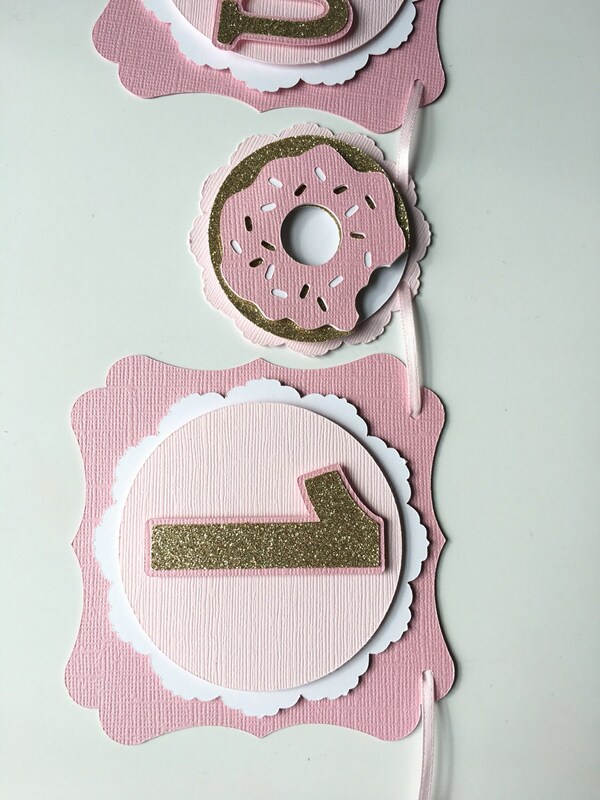 It can be hung on the high chair or on the wall! 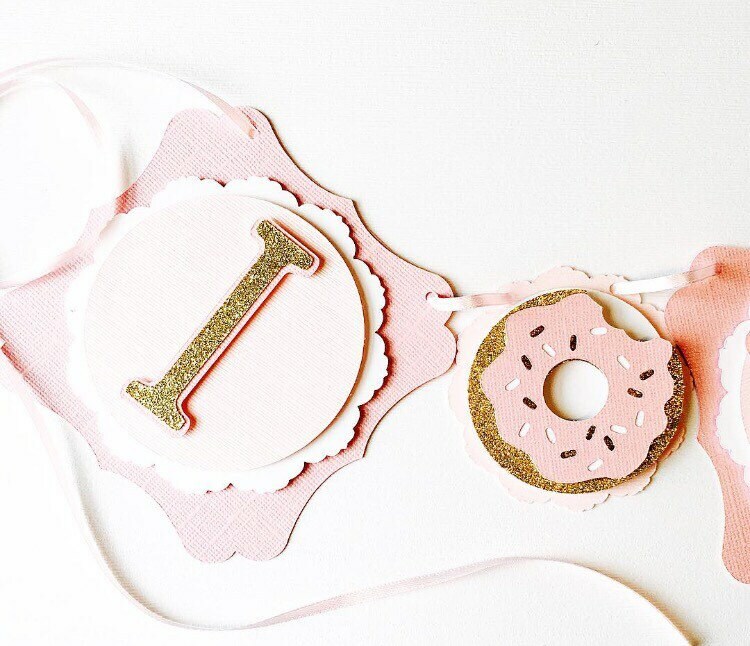 -Size: Each Pennant is 4"x4" and the Donut Doilies are 3"
If you are looking for different colors please let me know! We are happy to customize it any way you would like!